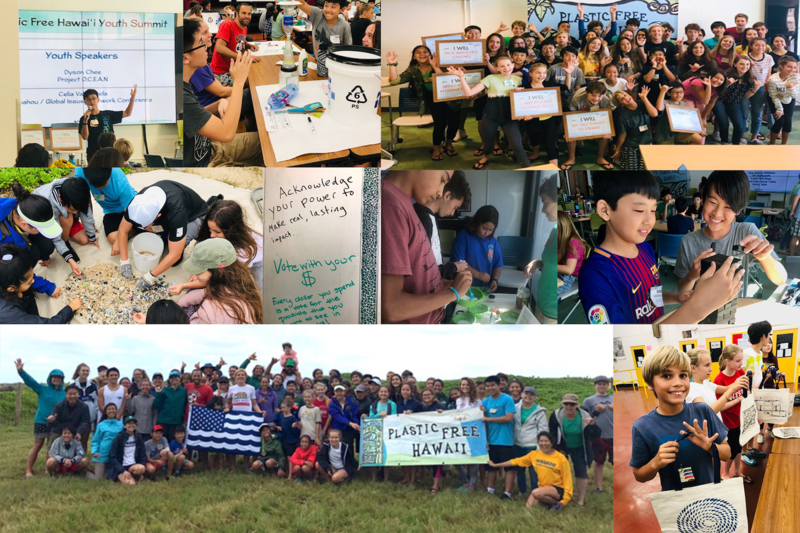 Our first ever Plastic Free Hawaiʻi Youth Summit was held the weekend of November 10 & 11 and attended by over 80 youth grades 6-12, from Oʻahu and Maui! The two-day summit included a beach cleanup at James Campbell National Wildlife Refuge at Kahuku, “Artivism” project with Ethan Estess, keynote speaker Kahi Pacarro youth speakers, education and skill building. We believe youth are the solutions, so the Plastic Free Hawaiʻi Youth Summit will be an annual event to empower local youth to tackle solutions to plastic pollution. Thank you to all who joined and our partners who made it possible: Johnson ʻOhana Foundation, Sustainable Coastlines Hawaiʻi, Education Incubator, Bureo, Algalita, Costa, and Plastic Pollution Solutions!